Shower & Bath Gel Blod Bottle. If you're a little vampire, this shower gel you'll love, blood, blood .... and it smells great. Filled with 350 ml shower gel that simulates blood to leave your skin nice and smelling great. If someone is going to take a shower at home is better than what you warn, it may become frightened or think you are very rare. - For sure surprised. 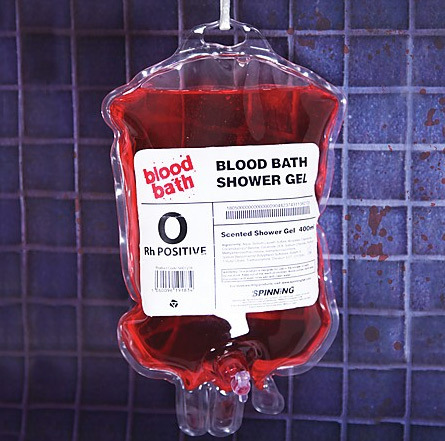 It is very normal shower gel and give less shaped blood bag. - And because it's a creepy gift, not seriously, is a very fun and original gift. It smells of death. - It is the ideal gift for the more vampires. - It is also advisable to give it to doctors, nurses or anyone related to the blood.